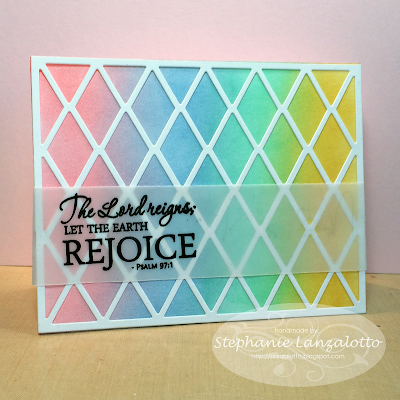 In creating this Easter card for my mother, I blended a rainbow of distress inks on a white panel, and topped it another white panel die cut with PTI's Harlequin Cover Plate. The sentiment, which is from a Verve set that I have had for years: Everlasting Life, is heat embossed on vellum. A Blog Named Hero March Challenge : Use rainbow colors. 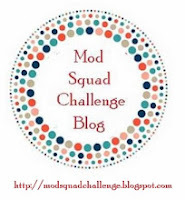 Mod Squad Challenge : Springtime. This is so pretty! I love that sentiment on the vellum,! Great take on the inspiration photo! Beautiful colors behind a beautiful greeting. Great Easter card! Thanks for joining us over at the Mod Squad Challenge this week! What a wonderful Easter card. Your sponged background is like a card version of a basket of easter eggs. 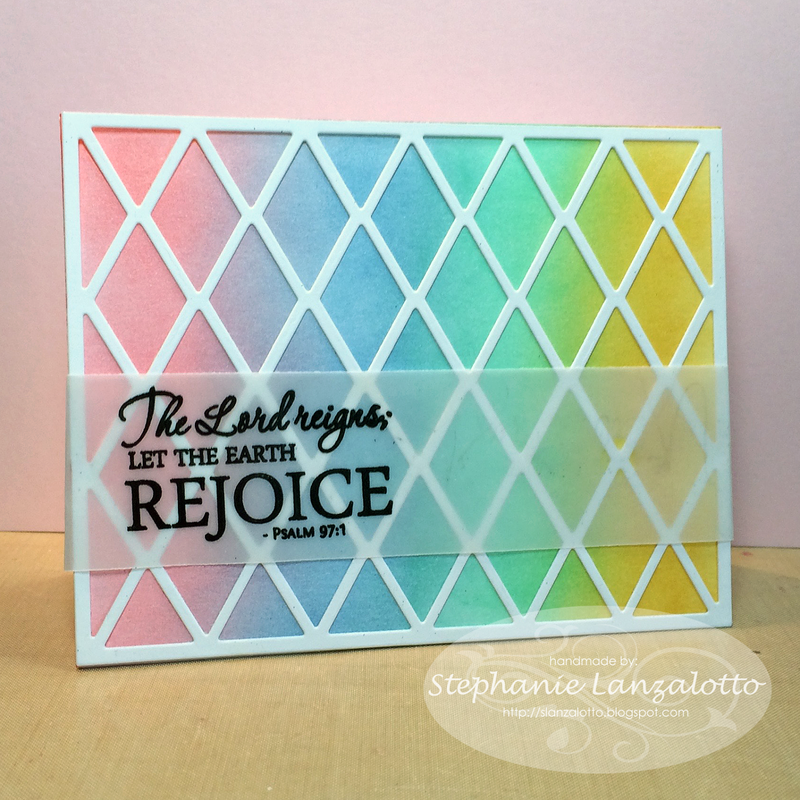 The sentiment looks great on vellum. I hope you have a wonderful Easter. wow! what a beautiful rainbow background you created. this looks great. 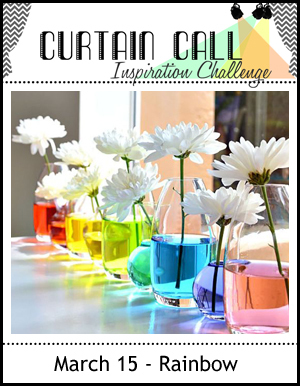 thanks for linking up to curtain call. Your colours here are so soft and pretty - absolutely beautiful blending.